We’ve previously spoken to CircleMe users from The Netherlands, from France, and from Guatemala. It’s great to speak to CircleMe users from all across the world, and as we found out in our infographic, the UK is one of the most active countries on CircleMe. This is a good reason to chat to one of users in the UK! So today we are sharing this interview with CircleMe user Brad Brooks. My name is Brad Brooks. I’m a graphic designer based on the south coast of England in the lovely seaside town of Littlehampton. I also used to draw comics. That’s pretty easy. 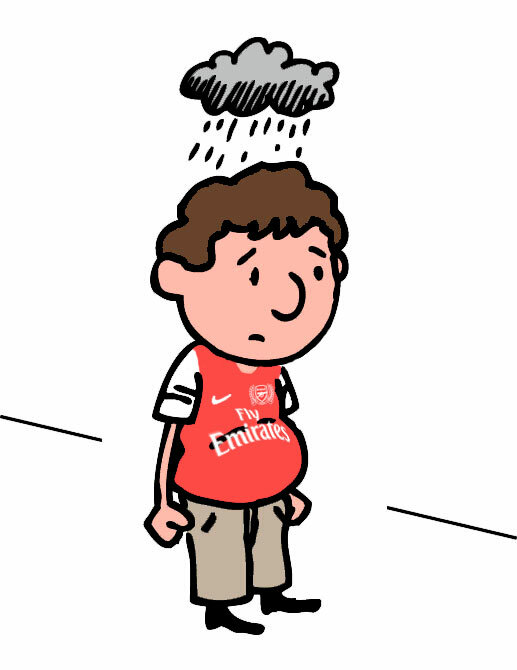 My three passions would be Comics, Apple and Arsenal Football Club. Comics: I’ve loved comics since I was a very small boy. I’m just obsessed with mechanics of how putting images into boxes and then putting them in sequence can be so evocative. As well as drawing them, I’ve also written about comics, including co-authoring a couple of books. I’m also fascinated about how they seem to be able to shift to meet the demands of new media models (from newspapers to books to screen). Apple: I use Apple devices (Mac, iPhone and iPad) every day, both for work and for play, and I’m continually amazed about how well they work for me. Arsenal Football Club: Arsenal not only stand for tradition and good sportsmanship, but under Arsene Wenger we play exciting, skillful football too. Players may come and go, but the Arsenal stands forever. I’ve discovered lots of things that I’ve ended up falling in love with. As one of my passions is the internet, I’ve been particularly happy with the web app recommendations that CircleMe has shown me, and I’ve really gotten into Hacker News because of CircleMe. I’d love to visit all of the street art that I’ve seen posted on CircleMe, particularly all of the Banksy pieces. I love the sense of communal passion for the good things in life, and discovering new things to love. I’m also a big fan of the iPhone app. The UI of both the app and the site is attractive, intuitive and a delight to use. The same as today, only more so. I’m convinced the community will carry on growing, and with it, the engagement and utility of the site will only increase. It’s going to be exciting to be a part of it!